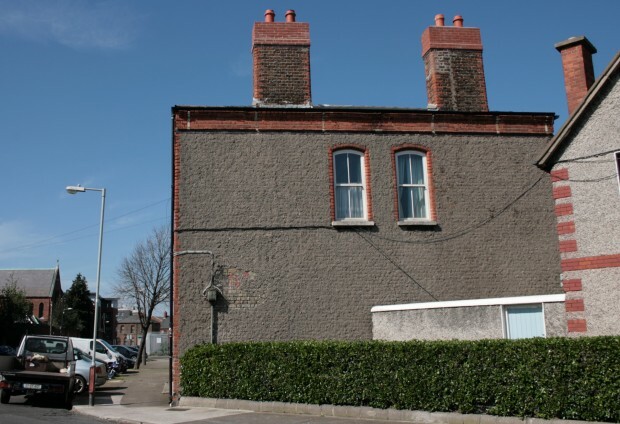 On the gable end of the east side of Weavers’ Square, there’s a thick, lumpy render that hints at the brick underneath. It’s not terribly pretty, but it is fairly neutral, and the brick framing the windows, the corner and the chimney-stacks tends to draw your eye quickly anyway. I was fascinated to see a patch worn thin with letters peeking out beneath. 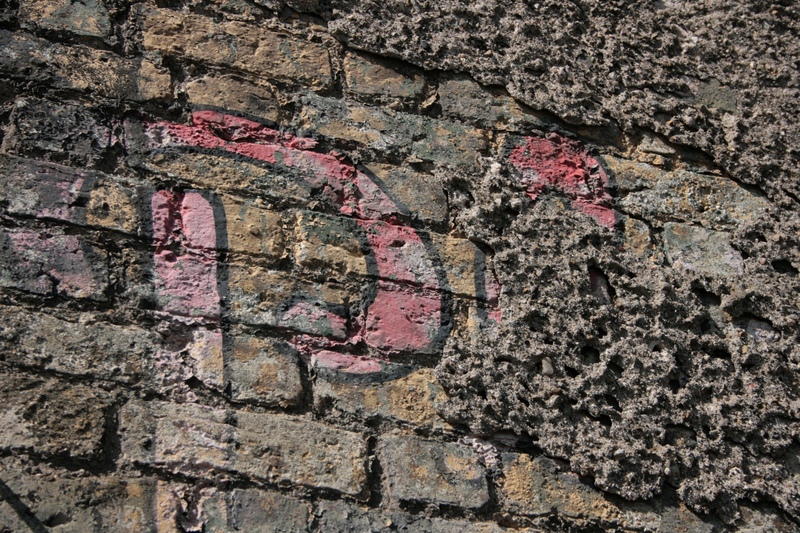 At first, it looked like graffiti, but it’s definitely under the render, definitely part of a bigger word or phrase. 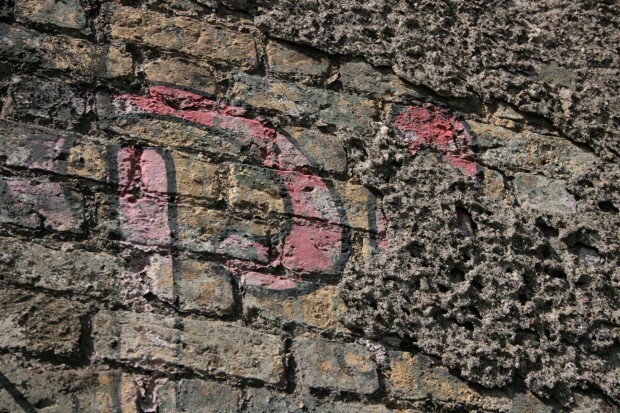 The ‘P’ looks too plump and rounded to be Player’s Please – the angle feels familiar but on comparison, it’s not terribly similar – but I wonder if it might have been an advertisement, trapped in the sludgy, obscuring render forever. 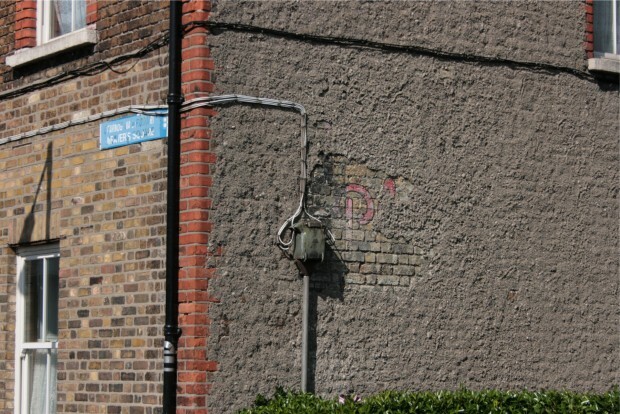 It does make you wonder, though: as well as all the ads that have been taken down or painted over, how many of Dublin’s ghost signs are physically obscured by a new layer or an adjacent building? And can I please have x-ray vision so that I can find out, please? Weavers’ Square’s connections with the textile industry began in the 1690s, and the weavers’ homes here were of a somewhat larger type than those on nearby Chamber Street. 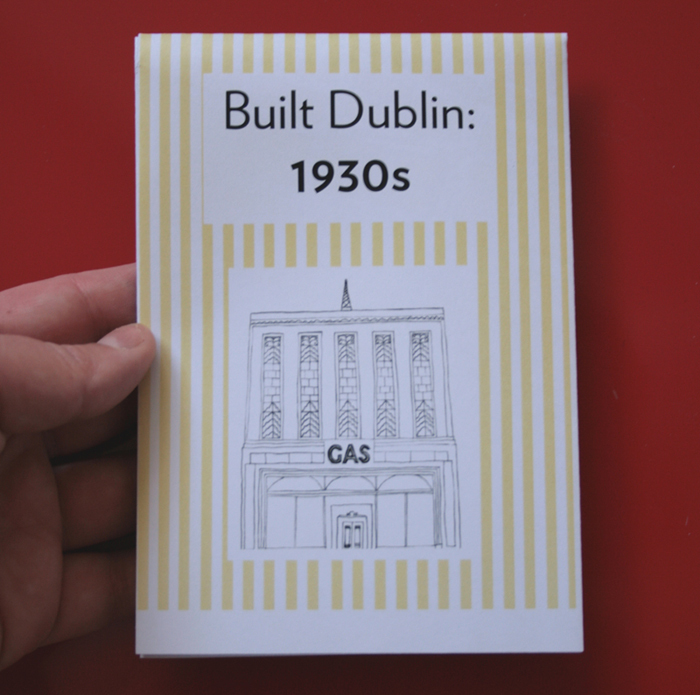 There’s a wonderful Dublin City Council booklet (by William O. Frazer) on the area, and it notes that a number of the structures in Newmarket and Weavers’ Square contain “building fabric from the late 1600s to early 1700s,” even though their outward appearance has changed.